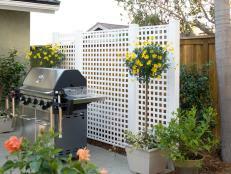 Host a beautiful and delicious Fourth of July backyard party with these easy ideas for food, decorating and fun. 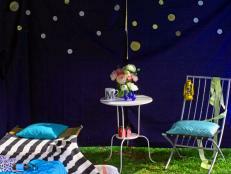 Host a Fourth of July backyard celebration with a few simple ideas that will make your party really shine. 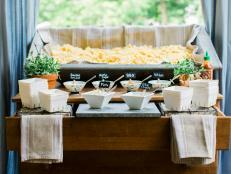 This gallery is full of recipes for unusual grilled treats, fresh drinks and icy goodness. 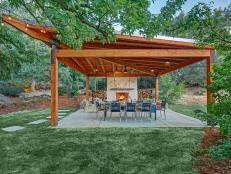 Click through, get inspired and craft your perfect outdoor party. 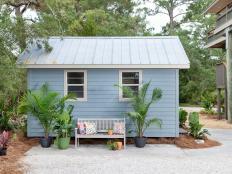 Chances are you're used to barbecuing and eating watermelon during the warm summer months, but if you've never combined the two then now might be the perfect time. Grilled watermelon loses a bit of its sweetness, but keeps that signature watermelon flavor. So pull out the salt, pepper and olive oil and slap that melon on the grill. 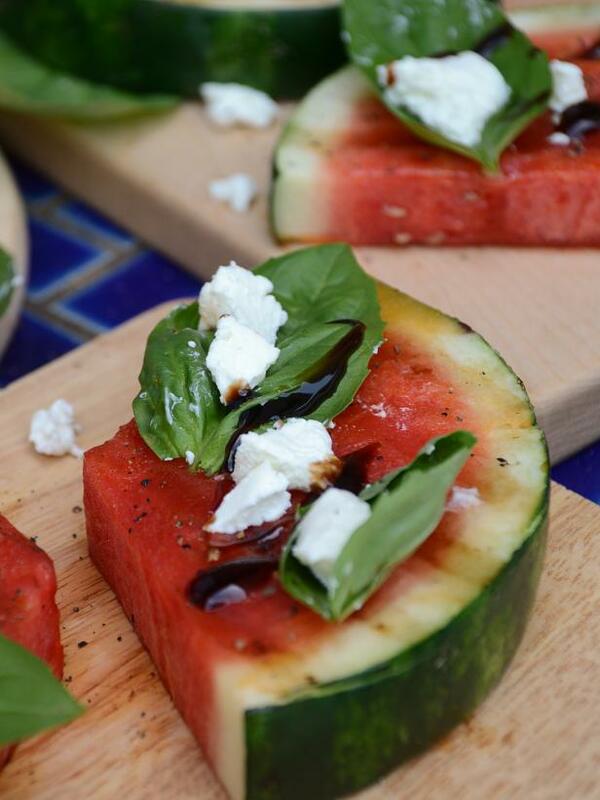 Before grilling your watermelon, cut it into triangular slices, coat both sides with olive oil and sprinkle with salt. Grill each side on high heat until grill marks appear. Remove from the grill and sprinkle with pepper. 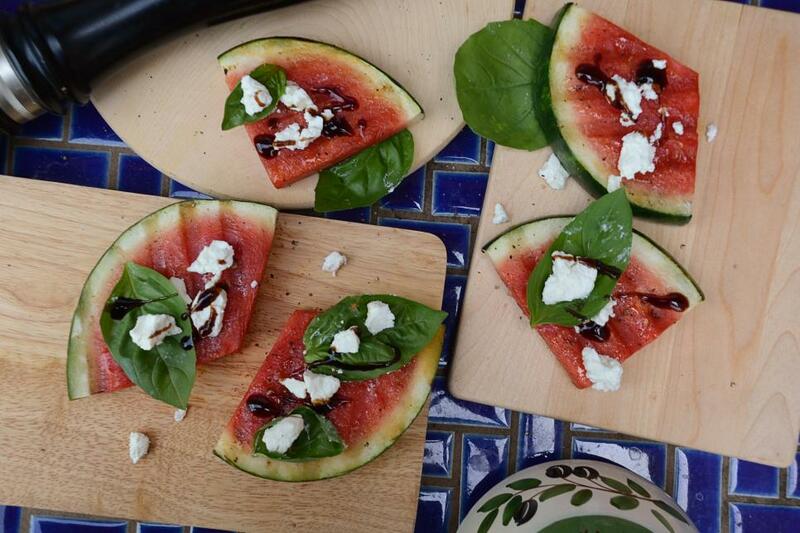 Add a leaf of fresh basil and a slice of goat cheese to each slice and drizzle with balsamic glaze. Serve warm as is, or slice up for a yummy salad. 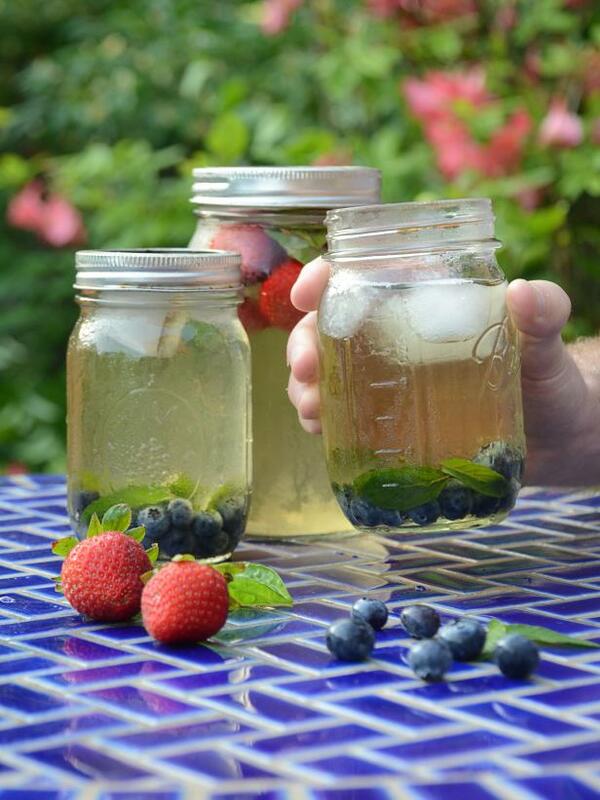 Sun tea is an easy and refreshing drink to serve your guests during a backyard party. 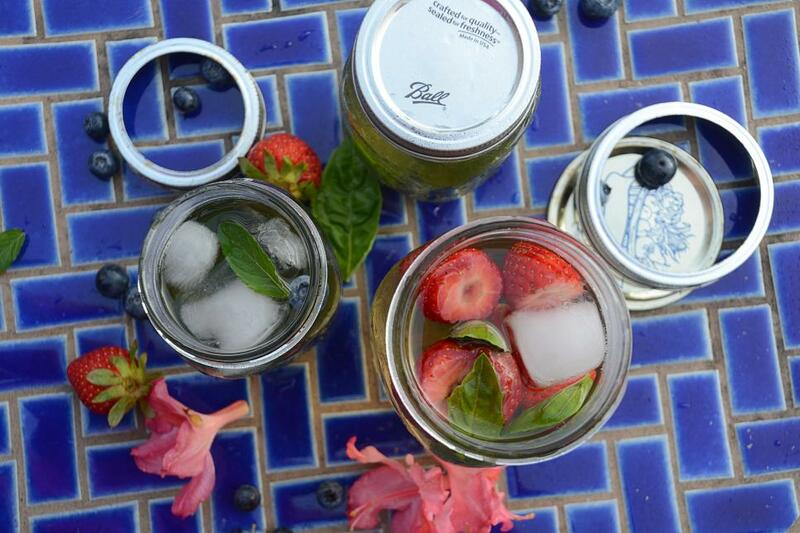 Place a tea bag in each clean and sterile Mason jar you plan to use for tea. (Prepare the jars just like you would before canning.) Fill with cold water and let the jars sit in the sun and steep for 2-4 hours. 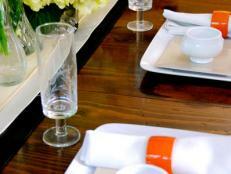 Remove the tea bag and place the jars in the fridge or on ice until ready to serve. If the grill is already warm, go ahead and make dessert there too. 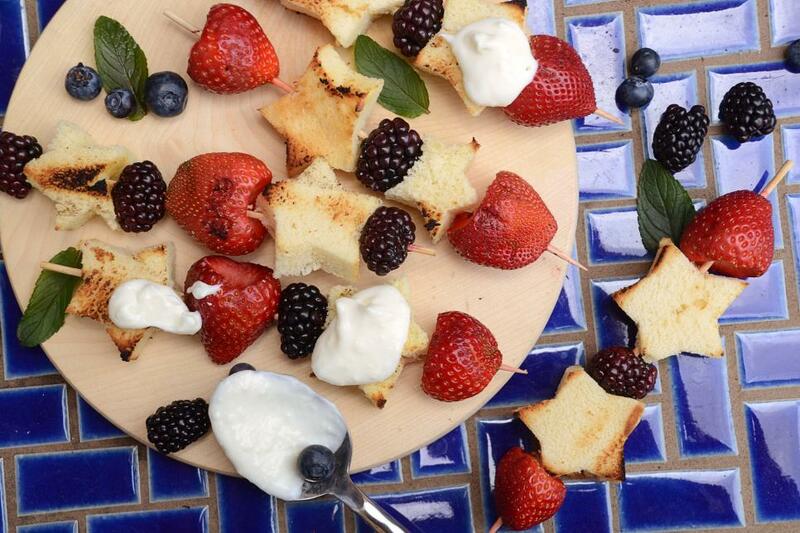 Pull out the skewers, the berries and the pound cake and serve everyone grilled strawberry shortcake. We added blackberries to ours for a festive touch, and you can add any and all of your favorite berries. To prepare for grilling your dessert, cut the tops off of the strawberries and use a cookie cutter to cut stars out of slices of pound cake. 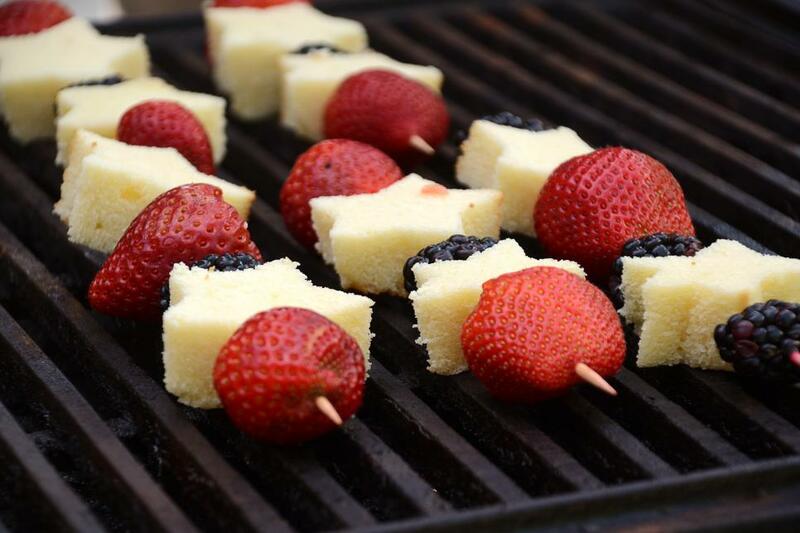 Place pieces of pound cake and berries alternately on the skewers until they are full. Grill over medium heat until your pound cake is lightly toasted and the berries are just beginning to soften. Cream together 4 ounces of softened butter and 4 ounces of softened cream cheese with 1 cup of powdered sugar, 1 tablespoon of milk and a teaspoon of vanilla extract. Serve with fresh-off-the-grill cake and berries. These ginger, mint and lime popsicles are a deliciously refreshing treat for a hot summer day. 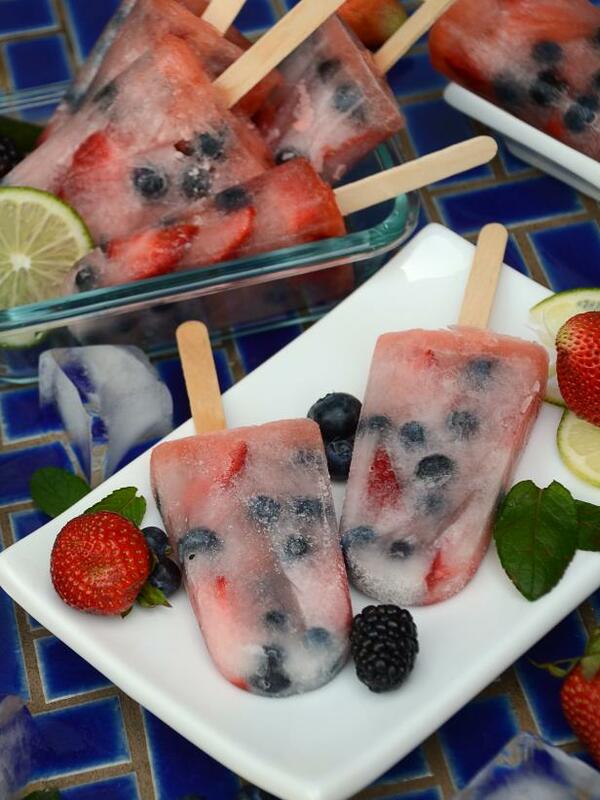 Sliced strawberries and fresh blueberries look beautiful and add the perfect pop of fruit. Boil 1 cup of water, 1 cup of sugar and 1/4 cup sliced fresh ginger until the sugar dissolves. Remove from heat and stir in a packed half cup of fresh mint leaves. Let the syrup cool and strain out the leaves and ginger pieces. Add the juice of 6 medium limes and 1 quart of sparkling water. 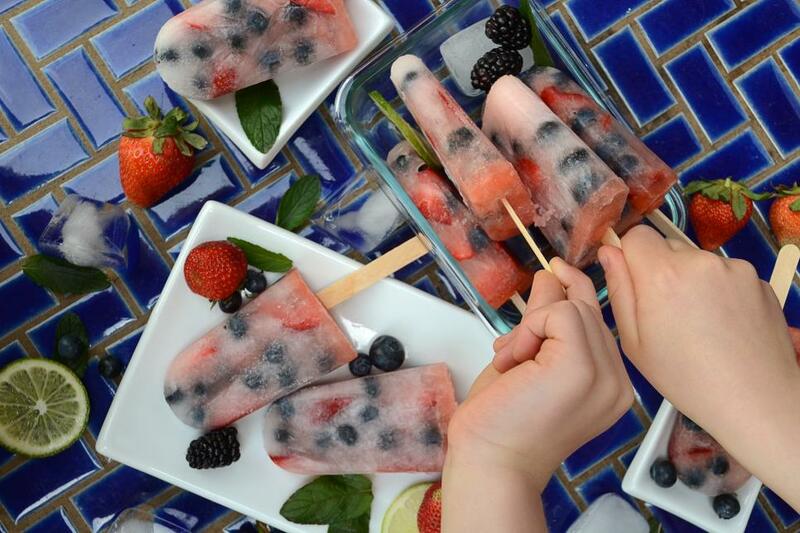 Fill popsicle molds with blueberries and strawberry slices and pour the ginger mint mixture over them. Freeze for 8 hours and enjoy. 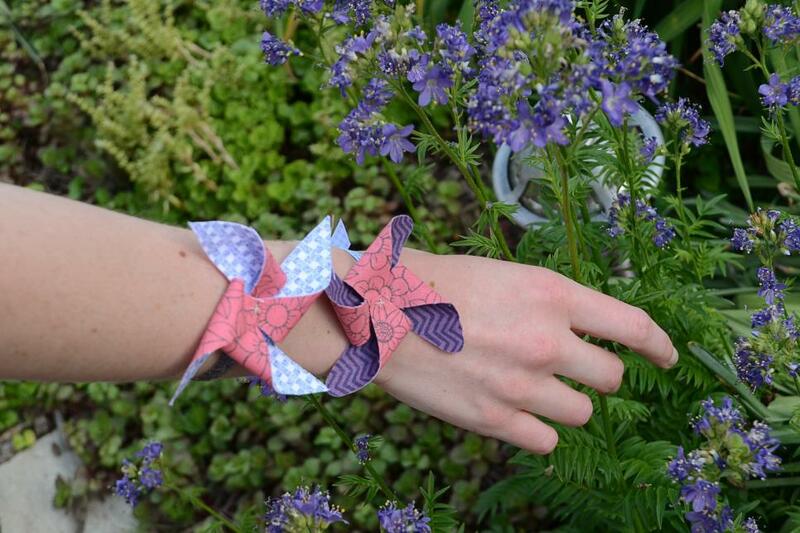 It's quick and easy to make beautiful pinwheels out of your favorite fabric. You can find more colors and textures with fabric than with paper, and your pinwheels will look more sophisticated than the average plastic one. Simply use fabric glue to attach two squares of starched fabric together. Use 5" squares for an average sized pinwheel. 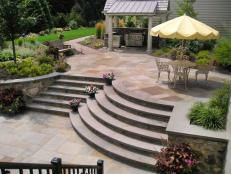 Then cut diagonally from each corner towards the center, leaving an inch radius around the center uncut. Fold the left corner of each triangle in towards the center and stitch or glue in place. 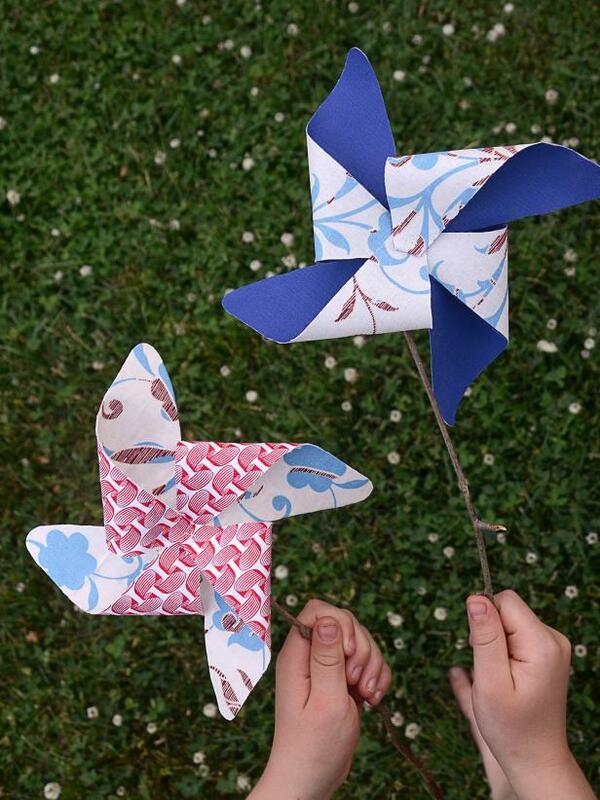 If you want your pinwheels to spin, use pinwheel centers from your local craft store. 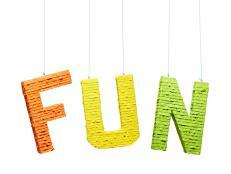 Looking for a cute craft for the kids or a fun party favor for guests? 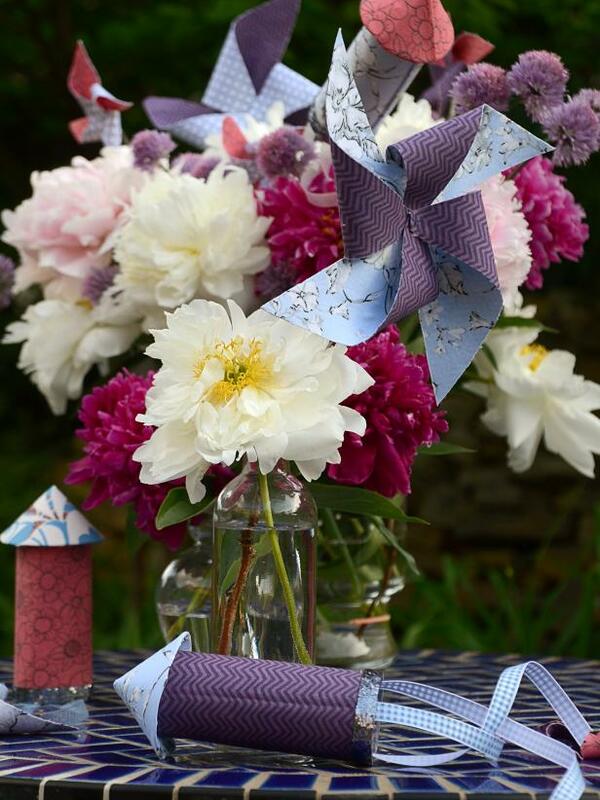 Make mini pinwheels and stitch or glue them to a festive ribbon. Tie the ribbon in a bow around your wrist for a charming bracelet. 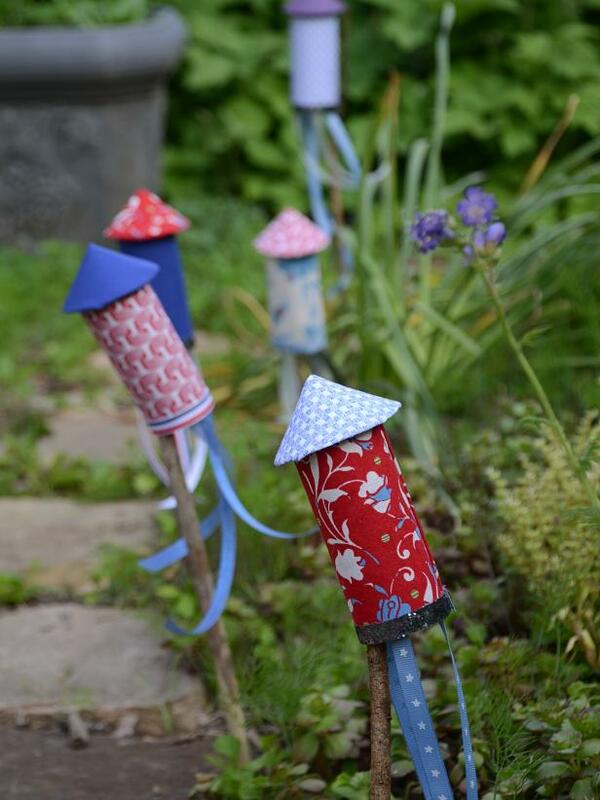 You can make lovely fabric rockets by covering an empty toilet paper roll with fabric. 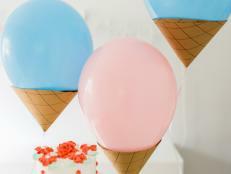 Cut a cone out of paper, or use a cone-shaped paper cup and cover with fabric for the top. Hot glue the pieces together, and glue some ribbons to the bottom of your rocket. 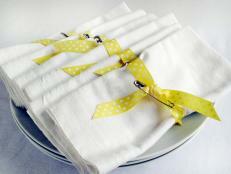 You can decorate with more ribbons, fabric or paint, or leave them as is. 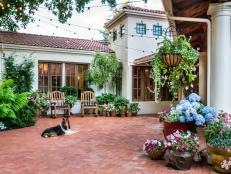 Line the walkway to your party with little rockets, or hang them from the trees and let them blow in the wind. 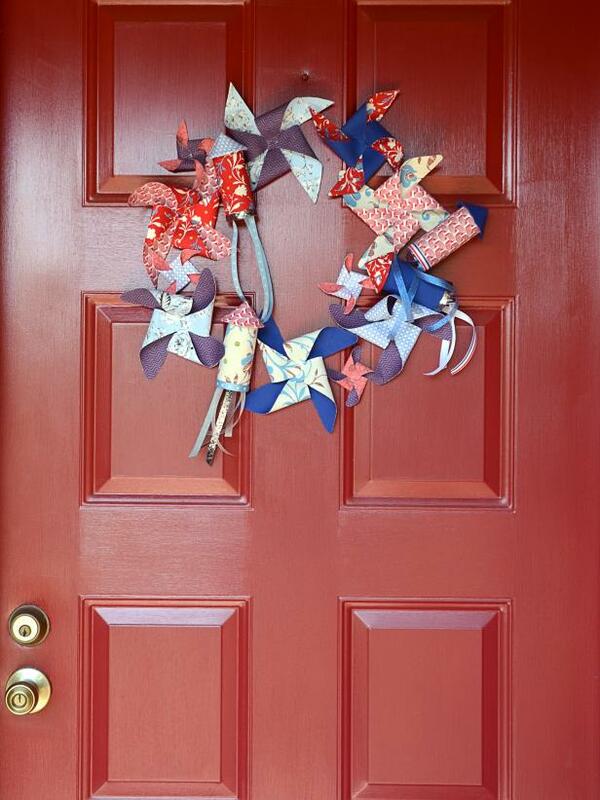 Welcome your guests with a festive Fourth of July wreath by attaching your rockets and pinwheels to an empty wreath form. 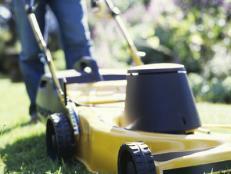 Include small, medium and large pinwheels to fill it in and add variety. 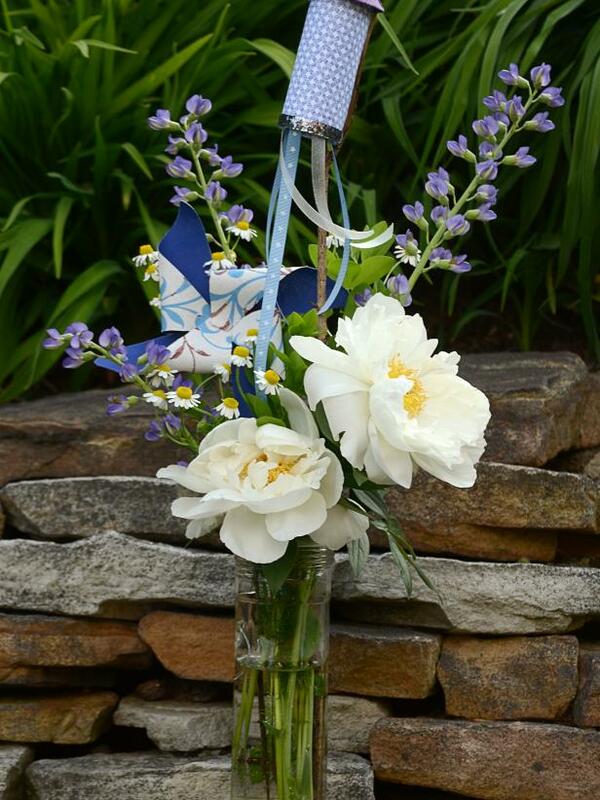 Your rockets and pinwheels will also look amazing as part of a flower arrangement. 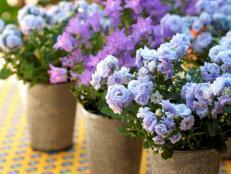 Rather than going all red, white and blue, try using cream, pink and purple flowers. 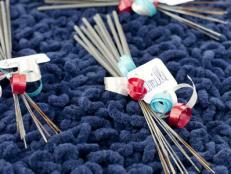 It will feel patriotic with a decorative touch. This arrangement of peonies and chive blossoms works perfectly with our pink, blue and purple pinwheels and rockets. If you don't have a lot of space for flowers, try a tall arrangement instead of a wide one. These chrysanthemum blooms and blue false indigo are anchored by the peonies, but their height make the rocket look like it's about to soar into the clouds. When the sun starts to set, you may want a little extra light while you wait for fireworks. 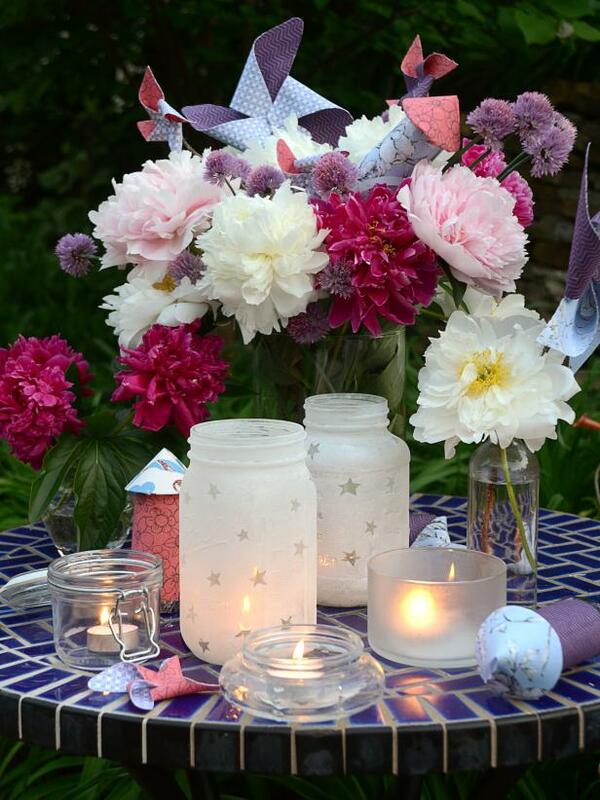 Create these glowing star jars by placing star stickers on the outside of a clean mason jar. Use a sponge to apply white acrylic paint in a thin, even layer over the whole jar. Once dry, peel off the stickers to reveal the clear stars underneath. 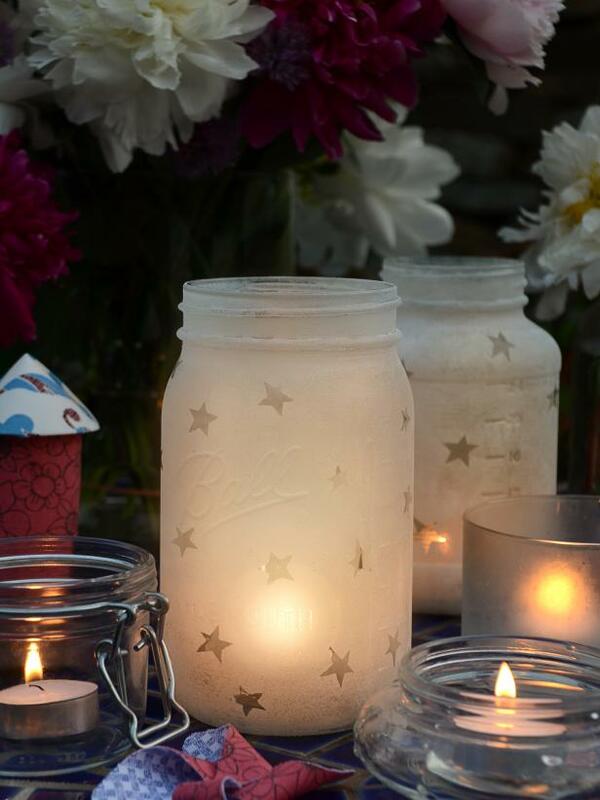 Light a candle in the jar and enjoy a mason jar full of twinkling stars!